The Fall Father and Son Encampment has been cancelled for a number of reasons, not least of which is my current status of living mostly in New Bedford until November when a new Guardian will arrive to take over the run of the house there. It may be a good time to take a break anyway, as we have been tossing ideas around about how to make the Encampments better and the preparations more manageable. Right now we are talking about taking the weekend “off campus,” so to speak to a campground and conducting perhaps one larger event every year, instead of three smaller ones. (We will continue to use the obstacle course at the friary for other events.) I would also like to open the Encampment to boys who have no fathers (or fathers who are involved with them at this level), since fatherlessness is a big problem and one that has long concerned me. 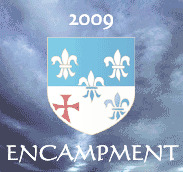 Please pray for the Knights of Lepanto who have worked so hard to make these encampments a success. We have had a great deal of positive feedback and are very much encouraged. We hope to have something really great, innovative and powerful in the Queen of Lepanto to present for next year. I will keep you all abreast of the developments from this forum. Thank you for all your support and please spread the word about next years open encampment. And now for something completely different. Here is my conference to the Fathers and Sons for the Summer Encampment. Click here or on the Encampment thumbnail in the side bar to see the updated pages for the Summer Encampment (July 28-August 1). Included there on the registration page are the registration and release form, schedule, advertising flyer, knights psalter and the magnificent seven. Hope to see you for the weekend at the end of July. 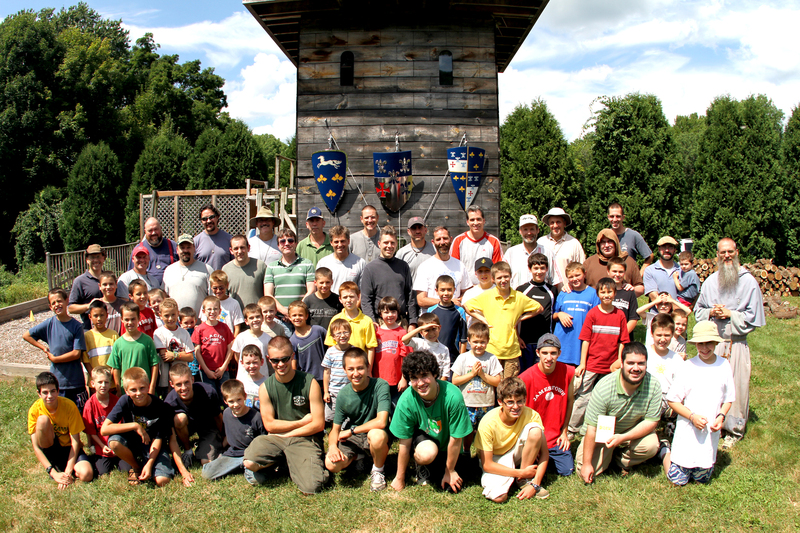 See new image gallery on the Encampment website for a look into the father and son weekend. Check out the website for details on the next encampments as well. For the moment that really consists mostly in the dates and example schedule. I will soon have the registration page back up with the specifics. Happy Feast of St. Pius V, Pope of Lepanto! 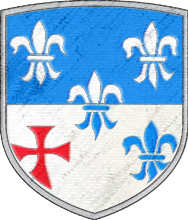 I am in the process of creating a new website for The Knights of Lepanto Encampments. That should be up in a few days. Meanwhile, I will just announce the dates again for this years events and provide pertinent information. The Spring Encampment will feature a talk by MSG Michael M. Cutone on the Leadership of Jesus. Here is an Airmaria interview with Michael. Please print the Advertising Flyer and post wherever you can. Thanks. The main event of the physical activities will be a massive Capture the Flag Game! Hope to see you for the chivalrous fun. I am creating a “Testimonies” page on the website and would be grateful for all contributions from the men–and boys–who have attended. In terms of the men, I am especially interested in those who are not among the organizers. Please send your contributions of three or four sentences to mv@figuadalupe.com or leave your response in the comment section. I would also be grateful for suggestions for the “Frequently Asked Questions” page. Please let me know what should be included there, especially if you had a confusing time and would have liked to have something answered before you arrived. Send your responses by leaving a comment. Thanks again. Blame it on the weather. Look forward to seeing everyone next year in Spring.